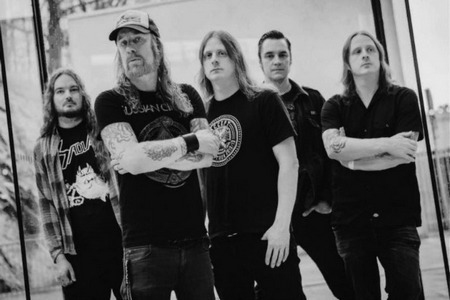 [8/10] No one has had more riffs stolen than At the Gates, a fact any yokel can reinforce by listening to metalcore circa 2001-2007, as well as the lesser sort of melodic death metal bands who could never really hang to begin with. So immediately, they’re at an automatic disadvantage. 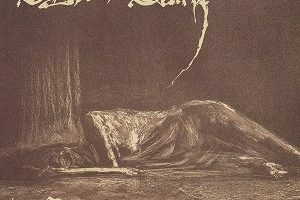 It’s not a Carcass situation where they had Swansong to work off of; Slaughter of the Soul is one of the most superior albums of its kind, so daunting the band broke up in part because of the firm belief they’d never be able to top it. And yeah, At War With Reality doesn’t better Slaughter of the Soul, but, it’s a more mature album, and gives ATG some wings to move forward. Partial blasphemy, yet a rather obvious flaw of Slaughter of the Soul was its lack of variation. Wisely, the band made efforts to rectify that, employing more than the standard Slayer d-beat-on-melodic-down-picking riff template. The tremolo-happy push of cuts like “Death and the Labyrinth” and the excellent “The Head and the Hydra” extend into the band’s underrated early territory, most notably The Red in the Sky Is Ours. The bristling chugs unearthed on “The Conspiracy of the Blind” have plenty of push and the right amount of melodic dash, while the so-called “experimental” joints “Order From Chaos” and instrumental “City of Mirrors” lend to the album’s designated variety. 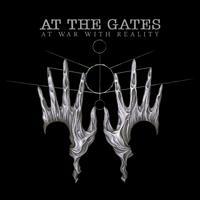 [9/10] No doubt one of the most anticipated metal albums of the year is At the Gates’ At War With Reality, and for good reason. This is the band that called it quits after the massively influential Slaughter of the Soul after all, and reunion fever has hit an all-time frenzy, with Carcass’ massive return last year seeming to culminate the whole movement (not to mention raise the bar for future reunion albums). Some might argue that the deck was completely stacked against At the Gates’ return to the studio after 19 years, but if you can learn to expect the unexpected (read: this is NOT going to be Slaughter of the Soul revisited), At War With Reality will more than satisfy your needs for new material from this legendary band. While Slaughter was the most accessible of At the Gates’ discography, At War With Reality harkens back towards the band’s earlier material, in a sense. Most of the album doesn’t solely rely that Slayer-esque riffage (sans the title track and a few portions of other tracks), instead slipping back into a more melancholic and dreary tone more associated with With Fear I Kiss the Burning Darkness or Terminal Spirit Disease. Cuts such as “Order From Chaos,” “Heroes and Tombs,” and the fantastic closer “The Night Eternal” ooze more sadness than venom. But there’s still a caustic bite to the material with Tomas’ snarls (seemingly unchanged by time) and riffs displayed on tracks such as “Death and the Labyrinth” and “The Book of Sand (The Abomination).” Patience will persevere with this album, and each spin will reveal a subtle new melody or tone. While not a concept album, it will be most beneficial to hear it all in one complete listen to enjoy it to the fullest. 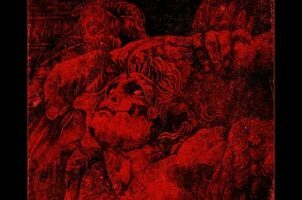 [8.5/10] Who would have guessed in the mid 1990’s that this Swedish band would create the blueprint for Melodic Death/Thrash on their fourth album Slaughter of the Soul – a timeless classic featuring short, speedy songs, incredible hooks on a guitar level, and the chilling vocal delivery of Tomas Lindberg. When they left the scene in 1996 at the top of their game, many musicians and fellow metal mongers always hoped for a reunion down the line. Which has been in place since 2007 at least on the live front, with the dreaded promise from members themselves of ‘no new studio record’… so should we be impressed for their change of heart? Let’s get this out right away, if you hoped for a carbon copy part two of Slaughter, At War with Reality will be a letdown. 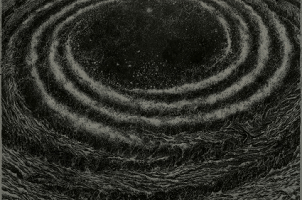 The quintet hasn’t done an about face and forsaken their speedy trills, steady snare/double bass charge, or caustic, throat ripping vocals – evidence being the main riffs for “Death and the Labyrinth”, the adrenaline pumping “The Conspiracy of the Blind” and point/counterpoint guitar panning for “Upon Pillars of Dust”. But At The Gates anno 2014 is all about attaining a new dynamic diversity, placing heaviness and contrast at slower paces, and often adding layers of clean nuance to make everything that much thicker. Guitarists Anders Björler and Martin Larsson seem to really propel their axe abilities to another dimension – still in the melodic death/thrash realm, yet thinking in more of a circular, pavement pounding process on highlights such as the title cut and the exotic trilling oriented “The Book of Sand (The Abomination)”. The slower riffs on “The Circular Ruins” or “The Head of the Hydra” possess a little more American-like aggression, but Tomas always reminds the listener that his screaming, impassioned roar will never put the band into dangerous commercial pastures. Add in the quieter “City of Mirrors” instrumental as track 10 of 13 plus the spoken word “El Altar Del Dios Desconocido” intro and you’ll appreciate the 44 minute record as an entity, reaching again for the widest scope possible while still maintaining At The Gates standards.